85dB limited volume for safer listening! 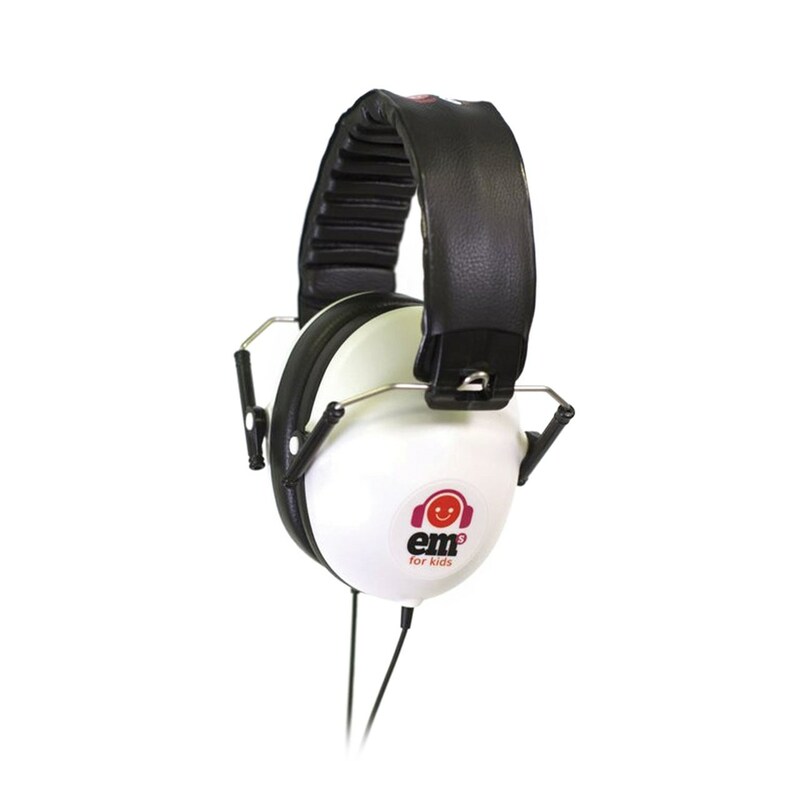 Ems for Kids audio headphones has a limited volume of 85dB (the maximum recommended level for prolonged exposure according to the American Speech, Language and Hearing Association; U.S. Center for Hearing & Communication). With an added internal acoustic treatment, it further reduces external noise while listening in the company of others. Easily folds up to fit in the palm of your hand, and comes with a sturdy Ems for Kids hard case for carrying or storing away for home or travel. For ages 12 months to mid-teens. WARNING: Ems for Kids headphones are NOT a toy and should always be used under adult supervision.